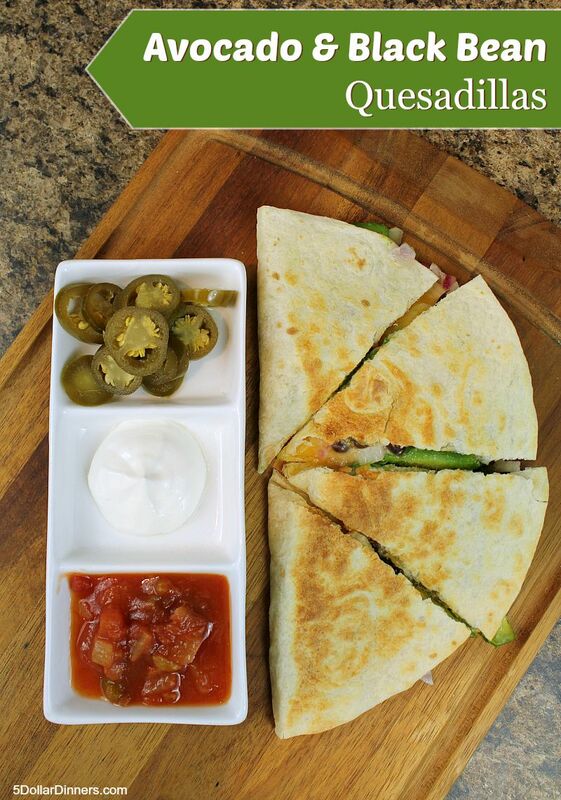 Really, you pronounce the dilla with a “y” sound in place of the “ll”…but I’m silly and call them Quesa-dillas. I like to add a tiny dollop of sour cream, then salsa and then a jalapeño to each bite! Zippy, zesty and crazy yummy!!! Heat your griddle to 375 degrees. Seed, peel, and slice the avocados into slices each. In a small bowl, toss the avocado slices with the lime juice. Gently toss to evenly coat the slices. Set aside. In a small bowl, stir the cumin in with the black beans. Set aside. Place a tortilla on the griddle. Cook for 30 seconds and then flip. Immediately on one half of the tortilla, add 4 avocado slices, 1/2 cup of cheese, and a few tablespoons of black beans (about 1/4 of the contents of the can). Fold the empty half of the tortilla onto the toppings. Cook like this for about 2 minutes. The cheese should be starting to melt. 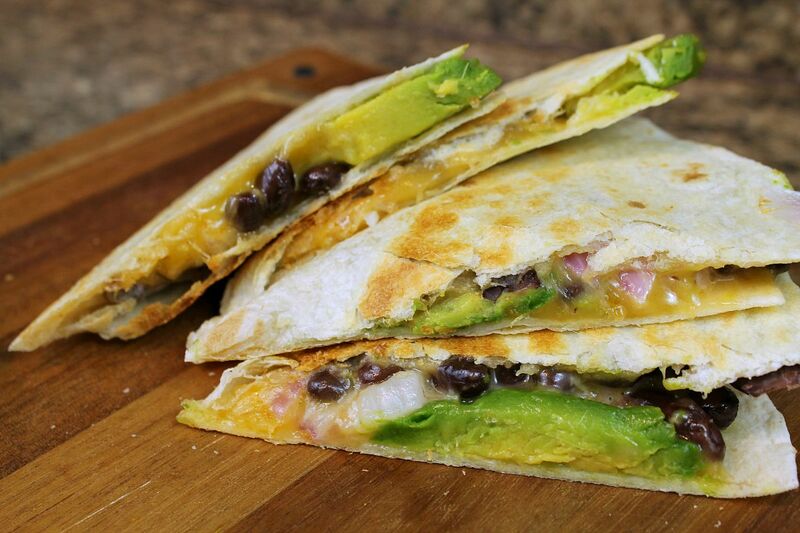 Flip the quesadilla and brown the other side until all the cheese is melted. This should take about 2 minutes. Repeat with remaining tortillas. Slice into triangles and serve warm with optional sour cream and salsa and fresh fruit. 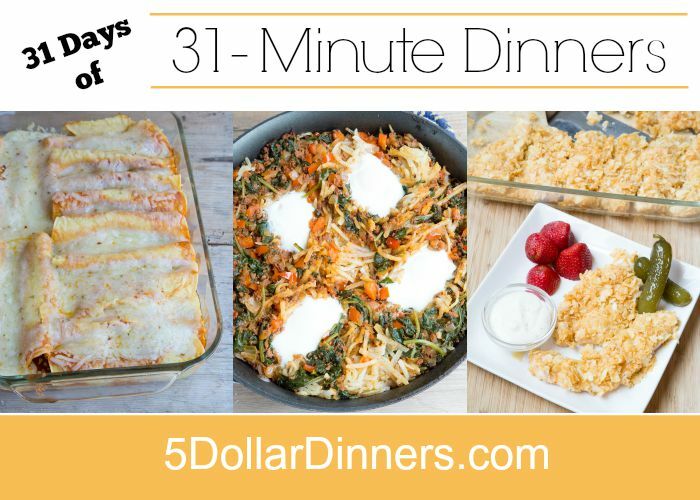 See all of our 31 Days of 31-Minute Dinner Recipes here!